New here after doing some reading on some of the threads. I am from Centurion, working in the manufacturing industry, 29 years old. I have developed a passion for investing over the last year or so and I'm involving myself more and more each day. I preach TFSA at the moment to anyone I talk to and have a few friends and family members who I talk shares with. - I have an RA which I put money into on a monthly basis as well as a lump sum in January of each year. - I opened a TFSA with EE and have been depositing into that for about a year now, I aim to fill that up for the current financial year. - I also bought some Dischem shares in December last year and my return is currently sitting at about 40%. I am interested in buying more shares with the main aim more at buying and holding for the long term than short-term buying and selling. The plan at the moment is to buy in another company during December or January so I am busy with some research on that. Hoping to gain some value and hopefully also add a little. Hello Mr Tourist, welcome to the forum! Sounds like you already on the right track, keep up the good work. Get your own thread g'dammit. PS, Welcome 2 you too. 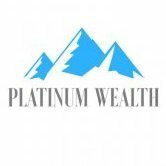 It's a requirement https://platinumwealth.co.za/forum/Forum-Introductions go all out!